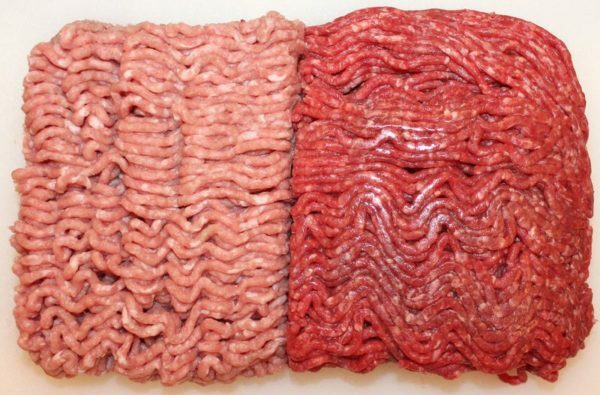 Ground Turkey vs Ground Beef what's the difference and which one is actually healthier ? When it comes to your health, you can’t be too careful. As you get older, you want to be more considerate of the things you put into your body. It’s important to pay close attention to your diet and do your best to ensure that you’re getting a balance of all the essential nutrients. If you enjoy eating meat, it can be difficult to cut out red meat even when your physician recommends it. You don’t have to completely cut out red meat unless your doctors explicitly direct you to do so. Even still, it’s a good idea to limit such consumption to being more occasional. One alternative that people have found to eating meals cooked with ground beef is to use ground turkey as a substitute. If you’ve never tried ground turkey before, then you may not be very familiar with how it tastes. Making meals with ground turkey is actually quite simple. You can use it just as you would normally use ground beef. Many people enjoy making meals such as spaghetti, hamburgers, meatloaf, and much more with ground turkey. Other people just can’t get used to the taste difference and shy away from this option. Ground turkey does not taste exactly the same as ground beef. When seasoned properly, it can taste quite close to the ground beef-based meals that you know and love. It won’t be the exact same taste but it is very delicious in its own right. You just need to weigh your options and consider whether any health benefits from switching to ground turkey are worth it for your personal situation. Ground Turkey vs Ground Beef what's the difference from a health perspective? When you look into the differences between ground beef and ground turkey, you might be surprised to find that they’re more similar than you’d expect. In fact, cooking with either of these meats will lead to you consuming a very similar amount of calories. In most cases, ground turkey actually has a few more calories than ground beef. It isn’t by much, though, and they’re very even. Both ground beef and ground turkey are excellent sources of protein. They work well as main course meats and can be useful staples in your diet. With the calorie contents being similar, you may be curious why anyone would worry about switching to ground turkey. The answer all comes down to fat content. When you eat ground turkey, you will be consuming a good bit less when it comes to saturated fats. This is very useful for people on a diet and can help you to lose weight. You want to limit the amount of “bad fats” that you consume in your diet so ground turkey reveals its main appeal by being more healthy in this fashion. There are those who don’t see this as a big enough benefit to make the switch but it is up to you to decide whether eliminating a fair amount of saturated fats from your diet is reason enough. Ultimately, the verdict is up to you. It largely depends on your health needs. If you want to cut down on fats, then you can benefit by switching to cooking with ground turkey. If that doesn’t matter to you, then it might be fine to stick with what you know. Some people just don’t enjoy the taste of the ground turkey. There are also many who love the flavor of the turkey and think that the difference is minimal. Try it for yourself and formulate your own opinion.